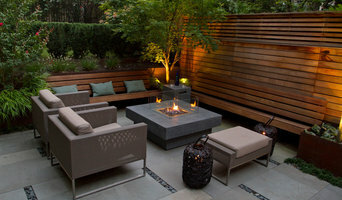 4x Best of Houzz Winner! 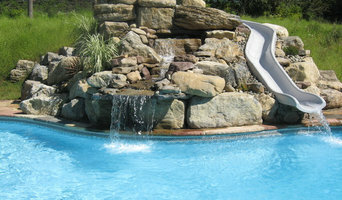 Dabah Landscape Designs is owned and operated by a group of visionary women with over 50 years of combined experience. These women are committed to providing every client with knowledge, excellence and landscape design perfection. Pamela Dabah has been designing properties for over 20 years. She has a Master Degree in Horticulture and was the former director of Horticulture for the NYC Parks Department. There she had the opportunity to design hundreds of public spaces, including the outdoor area of the Children’s Zoo in Central Park. 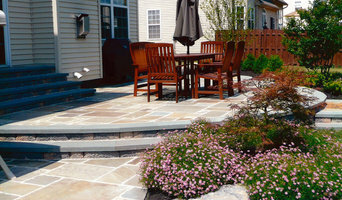 Well-known for our elegant garden designs, stunning outdoor kitchens and detailed stonework, we are New Jersey's Premier Landscape Designers. We create original living spaces from formal to Zen and everything in between. Our landscapers hand-select all of the materials and work closely with each homeowner to ensure the complete success of every project. We pride ourselves on not just enhancing the look of your property, but its overall health as well, that's why we use organic products whenever possible. Our goal is to create the most beautiful, peaceful and functional gardens and outdoor spaces to best enhance your home and your lifestyle. We take into consideration the environment, space, taste and aesthetics to ensure the success of your plan.